The vast number of WordPress plugins available makes it easy to bolster your website in a number of different ways. However, doing so often requires installing multiple plugins, each having its own specific role to play. Not only does this soak up your time in terms of identifying the best plugins for your needs, it can also bloat your website – slowing it down in the process. Should you therefore install the WordPress Jetpack plugin and perhaps solve some of those problems? Jetpack, to say this simply, is one plugin that can play a myriad of useful roles in supercharging your WordPress website. And being created by none other than Automattic, you can expect it to be continuously developed and supported in the long term. In this post, we reveal five great reasons why you should use the WordPress Jetpack plugin. By the time we’re done, you’ll be chomping at the bit to install it on your site! WordPress is a beastly CMS with plenty of features built in. A premium WordPress theme typically boosts that functionality somewhat, although we also often rely on a range of plugins to provide all the nitty gritty features that we want for our websites. To cut out multiple middle-men, the WordPress Jetpack plugin comes jam-packed with such features, so you no longer have to install a new plugin for every new feature you desire for your website. Jetpack’s Related Posts feature on this very blog (scroll down to see it under this post). A Goodreads Widget that displays your Goodreads Shelf in your website’s sidebar. An Image Widget that lets you easily add images to any widgetized section of your theme. A Gravatar Widget that enables you to pull in your Gravatar image alongside your profile data. A Posts Widget that lets you display up to ten recent posts from another WordPress blog (including WordPress.com). A Contact Info Widget that helps you display important information about your business, including maps and opening hours. Suffice it to say, you will be hard pressed to find such a depth of functionality within any other solitary WordPress plugin. Without traffic, your website is essentially worthless. The WordPress Jetpack plugin recognizes this by helping you boost your traffic via its Publicize feature. Once configured, the feature pushes all new blog posts to social networks such as Twitter, Facebook, and Tumblr. Furthermore, Jetpack automatically distributes all new content to WordPress.com, giving it yet more small, but noteworthy exposure. While the traffic data provided by Jetpack isn’t as detailed as the stats found on Google Analytics and other leading analytics platforms, it is quicker to access, and far easier to digest, thanks to a charming user interface. WordPress is attacked 25% more often than any other content management system. As such, fortifying your WordPress website against security threats is paramount. Jetpack’s Protect feature is one such fortification, as it identifies and bars malicious IP addresses and blocks repeated failed login attempts to keep hackers at bay. What’s more, Jetpack provides automatic plugin updates, which ensures that all plugins are less vulnerable to attack. The WordPress Jetpack plugin also boasts Monitor – an uptime monitoring system that sends you email notifications should your website ever go offline. This allows you to act quickly if a website security breach is to blame. 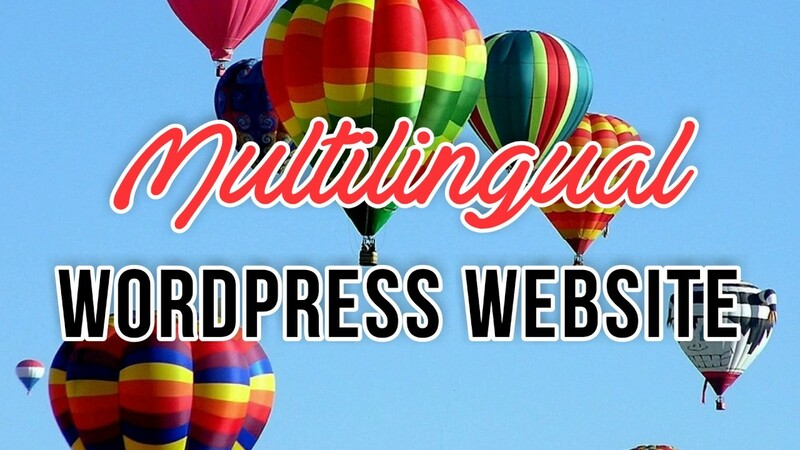 If you run multiple WordPress websites, you’ll know how much work it is to manage them all. Not only do you have to log into each site separately, but you also have to update them (and their many plugins) individually, too. Thankfully, the WordPress Jetpack plugin streamlines the process of managing multiple WordPress websites with its handy Manage feature. 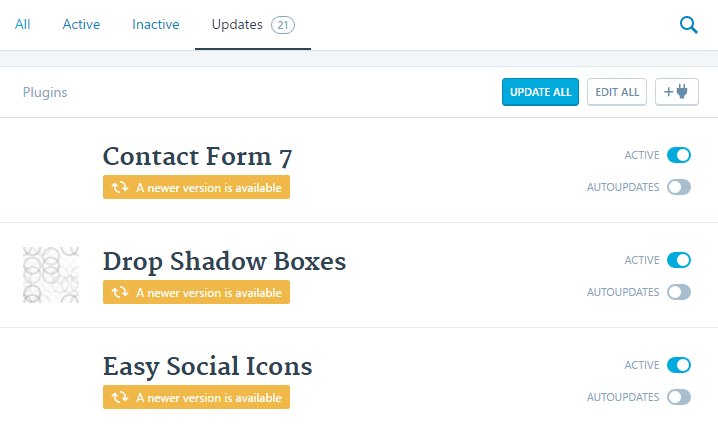 Example of how updating individual plugins gets done via Jetpack Manage. Website speed is a major factor (or not?) when it comes to search engine optimization, and Automattic didn’t forget that when they built Jetpack. Although WordPress has built-in SEO settings, Jetpack bolsters them with its Photon feature, which relies on WordPress.com’s content delivery network (CDN) to accelerate image loading times – speeding up the entire website in the process. Furthermore, by loading images promptly, the WordPress Jetpack plugin also improves the user experience. This is particularly important, as some internet users only afford websites around 400 milliseconds to load before they give up and go elsewhere. Last but not least, Jetpack also boasts an automatic sitemap creation feature that makes life easier for search engines trying to crawl your website. Installing too many plugins on your WordPress website can be detrimental to it in terms of speed and security – but part of the allure of WordPress is being able to easily inject new functionality. To strike that balance between speed, security, and functionality, we recommend introducing Jetpack into your website’s plugin diet. Enhanced Website Functionality: through related content, social media sharing modules, contact forms, and extra widgets. Traffic Growth: via Publicize and Traffic Stats. Fortified Security: made possible by the Protect feature. Centralized Management: thanks to Jetpack’s Manage feature. Search Engine Optimization: thanks to Photon and automatic sitemap generation. Do you use Jetpack to enhance your WordPress website, or do you prefer alternative plugins to get similar jobs done? Let us know in the comments section below! Tom Ewer is the founder of WordCandy.co. He has been obsessed with WordPress since he first laid eyes on it, and has been writing educational and informative content for WordPress users since 2011. When he's not running his businesses, you're likely to find him outdoors somewhere – as far away from a screen as possible!